Johnson’s Baby Moisture Wash 15 Ounce Bottles 2 Pk Only $2.48 Each! You are here: Home / Great Deals / Amazon Deals / Johnson’s Baby Moisture Wash 15 Ounce Bottles 2 Pk Only $2.48 Each! 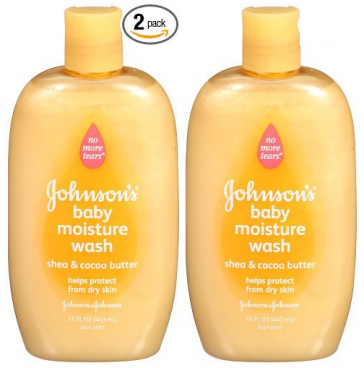 Order this 2 Pack of Johnson’s Baby Moisture Wash in Shea & Cocoa Butter 15 Ounce Bottles for just $4.96 shipped when you opt for Subscribe & Save. That’s just $2.48 per bottle! A single bottle is selling for $3.92 on Walmart.com! Keep in mind when you sign up for Subscribe and Save, you are not obligated to continue, you can cancel at anytime after your order has shipped.